Mount Shasta: forged by fire, carved by ice. The giant volcano lies at the heart of the North State. The northernmost reaches of California can be broken up into seven basic regions: the Cascade Range, the Klamath Mountains, the Coast Range, the Sacramento Valley, the Sierra Nevada, the Modoc Plateau and Warner Mountains and the Great Basin. 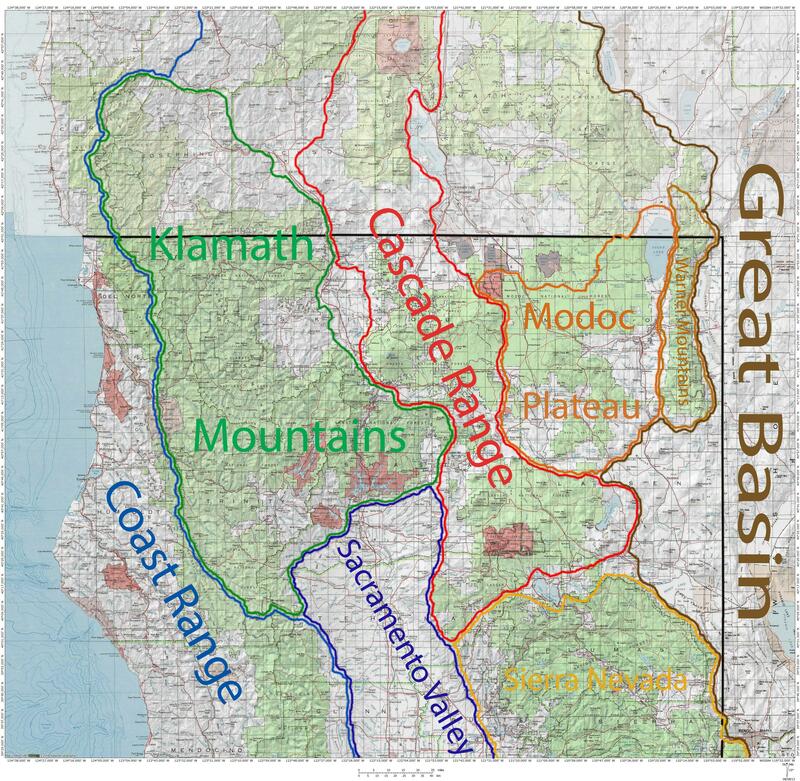 Of these seven districts, the Klamath Mountains and the Cascades constitute the heart of the North State. This is not to say that areas like the Sierra Nevada and Great Basin are insignificant but rather that their geographic stories properly belong in a different tale and they only lurk around the fringes of the North State. Any discussion of the North State’s geography must necessarily focus on the Cascades and the Klamaths. Not only do these two mountain ranges encompass the preponderance of the region’s terrain, they also include the most populated areas (as small as they are), the main lines of transportation and most of the outdoor regions enjoyed by recreationalists. Though this series will give appropriate attention to the other areas, the majority of it will naturally focus on the pair of mighty ranges that generally characterize the North State. Classic Cascades terrain around Lassen Peak. Constituting the central spine of the North State, the Cascade Range is the most prominent and recognizable part of the area. Topped by the famous towers of Mount Shasta and Lassen Peak, the Cascades are a volcanic mountain range exhibiting classic fire-forged features and punctuated by towering volcanoes. Stretching from the north shore of Lake Almanor northward to the Oregon border (and beyond, extending all the way into Canada), the Cascades can be divided into two general areas. The southernmost section is usually referred to as the Lassen Cascade. Centered on Lassen Volcanic National Park, the Lassen Cascade includes high peaks, dozens of alpine lakes, vast lava flows, clear running streams and numerous shield volcanoes and cinder cones. The northern half of the Cascade Range in California is typically deemed the Shasta Cascade. Mount Shasta dominates this mountain province in a way that few mountains overshadow the areas that surround them. So absolute is the great mountain’s dominance that many people would have difficulty naming other features. Nonetheless, high volcanic peaks line the Cascade crest, indicating the geologic activity that shaped the region. Aside from Mount Shasta, the most notable landmark is the Medicine Lake Caldera, one of the two largest volcanoes in the Cascades (the other being the Newberry Caldera near Bend). Although the Cascades are extensive, they are not extremely wild. Five wilderness areas totaling around one hundred and fifty thousand acres form pockets of wild land amidst a sea of forests that have experienced logging operations at one time or another. Despite the encroaching development, the Cascades are remote enough in relation to the rest of California that they still retain a sense of deep isolation. The Marble Rim is hidden deep in the Klamath Mountains. 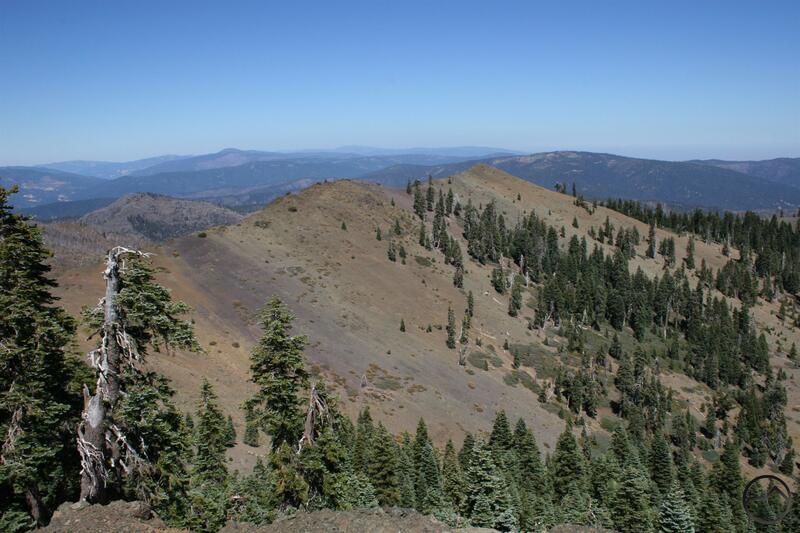 California’s northwest bulwark, the Klamath Mountains are perhaps the state’s greatest unknown mountain range. Counting the portion that extends north into Oregon, the Klamaths are over two hundred miles long and over eighty miles wide at the range’s widest point. Outside of the Sierra Nevada and the vast deserts of the Death Valley region, the Klamath Mountains are the wildest corner of California. Boasting eight wilderness areas totaling over one million acres, these mountains are some of the most primeval, rugged and spectacular to be found anywhere in the western U.S. Numerous powerful, free-flowing rivers drain the Klamath Mountains. A sense of vastness and separation pervades the Klamaths due to the limited access, scant human population and the air of mystery that hovers over the range. Indeed, the Klamath Mountains are the epicenter of Bigfoot sightings. Yet, all of this only embellishes the greatest component of the Klamath’s sense of mystery. Simply put, for most people this corner of California is a giant blank spot on their mental map. If they consider the region at all, it generally appears as a great area of nothing between the coast and Interstate 5. What they are missing is a mountain range that is blessed with tremendous beauty, rivaled by few other alpine provinces in the state. Soaring peaks and cliffs, deep canyons, high waterfalls, mighty rivers, expansive forests, cold lakes and verdant meadows are ubiquitous in the Klamath Mountains. However, not only is the range exceptionally scenic but it is also the most diverse mountain range in California. Composed of an incredible variety of rock types including granite, marble, greenstone, gneiss, serpentine, peridotite and many others, the range’s visual appearance can change dramatically in very short distances. The Klamath’s flora is also unusual and diverse. It is noted for its impressive number of endemic species and varieties of trees that are hundreds of miles beyond their normal ranges. 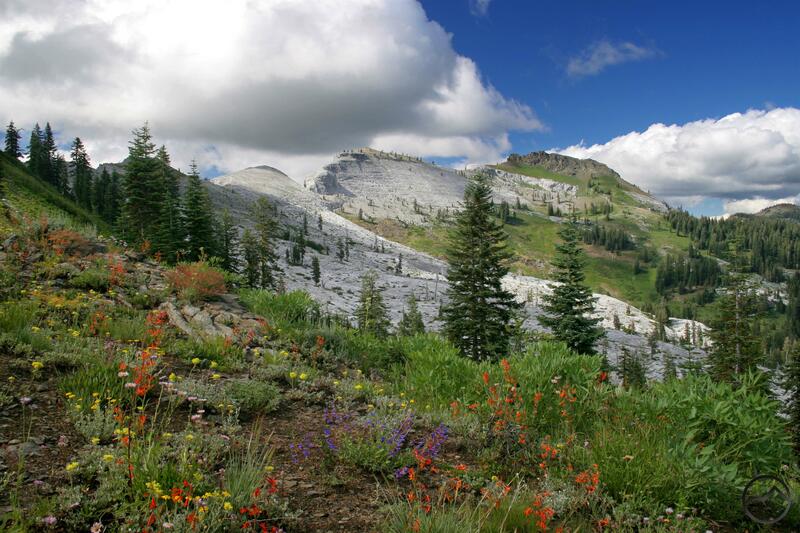 Thankfully, there are extensive networks of trails throughout the Klamaths that provides access to many of the most scenic and spectacular features. Exceptional journeys of a couple of weeks or more are possible in many parts of the Klamath Mountains. The Pit River drains the Modoc Plateau. Extending east from the Cascades, the Modoc Plateau and the Warner Mountains continue the volcanism exhibited by the Cascades but do so in a more subdued fashion. 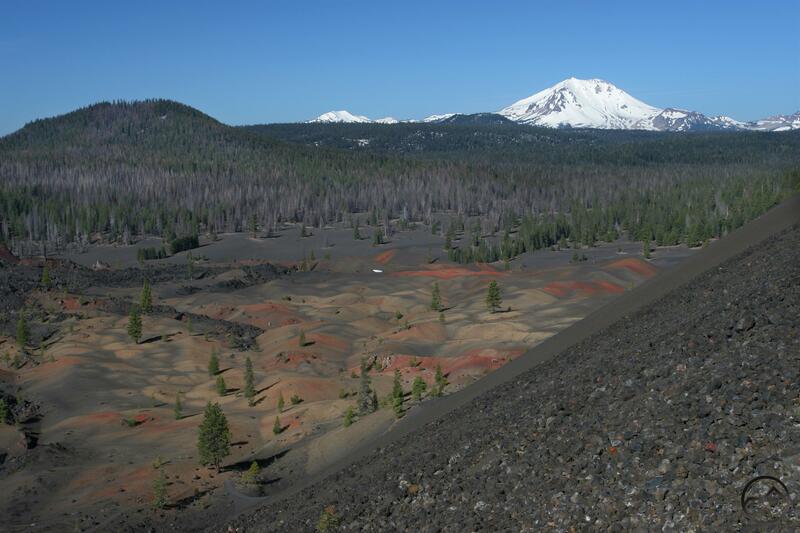 Lava flows and ancient cinder cones are common in many parts of the area, most notably in Lava Beds National Monument, where there are excellent examples of both features. The plateau is not a single, level region as the name indicates. Instead, it is a large area of low, rounded mountain ranges punctuated by large, rounded, flat bottomed valleys. Uniting the region is the passage of the Pit River, which begins on the western slopes of the mighty Warner Mountains and drains westward, ultimately joining the waters of the Sacramento and McCloud Rivers at Shasta Lake. While the Cascades form the western boundary of the Modoc Plateau, the Warner Mountains do so to the east. These are among the least known and wildest mountains in California. Though they are volcanic, they are not volcanoes. Instead they were formed the way the Sierra Nevada and the mountains of the Great Basin were formed, through the pushing upward of giant faults. This activity has exposed numerous successive lava flows and layers of tuff (compressed volcanic ash). The Modoc Plateau is lightly populated but much of the area is involved with ranching and agriculture. Only two wilderness areas are found here. 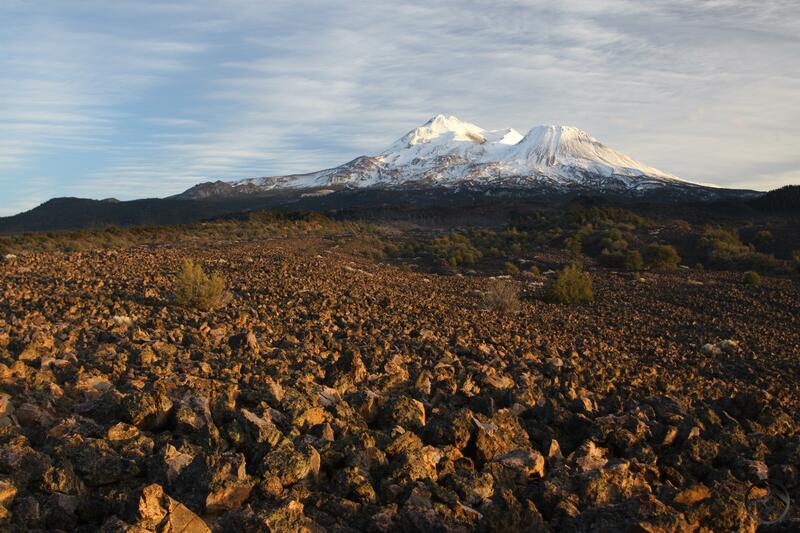 One, at the Lava Beds, protects the lava flows, cinder cones and lava caves. The other encompasses the highest reaches of the Warner Mountains. This is a stunning region of great beauty and can be explored by a well-developed but lightly used trail network. Looking east into the Great Basin from the Warner Mountains. Lapping at the feet of the Warner Mountains and the Sierra Nevada, the Great Basin is the largest of the four great American deserts (the others being the Mojave, Sonoran and Chihuahuan). It includes a significant portion of southeastern Oregon and encompasses most of the states of Nevada and Utah. Portions of it lie within California, generally along the margins of the eastern fringe of the state. It typically begins at the eastern foot of Sierra Nevada and mountainous areas to the north including the Warner Mountains. The desert gets its name because it is a large endorheic basin where none of the water that falls in the region has access to the sea. Some sizable rivers flow into the basin but are unable to breech the encircling mountains and ultimately dissipate in large, marshy sinks. The geography of the Great Basin is characterized as the “basin and range” province. This is to say that it is composed of a seemingly interminable series of narrow, north-to-south trending mountain ranges separated by long, dry basins. While the basins exhibit the environment one typically expects from a desert, many of the mountain ranges are high enough to support and alpine environment. The most notable examples of this are Steens Mountain in Oregon and the Ruby and Snake Ranges in Nevada. 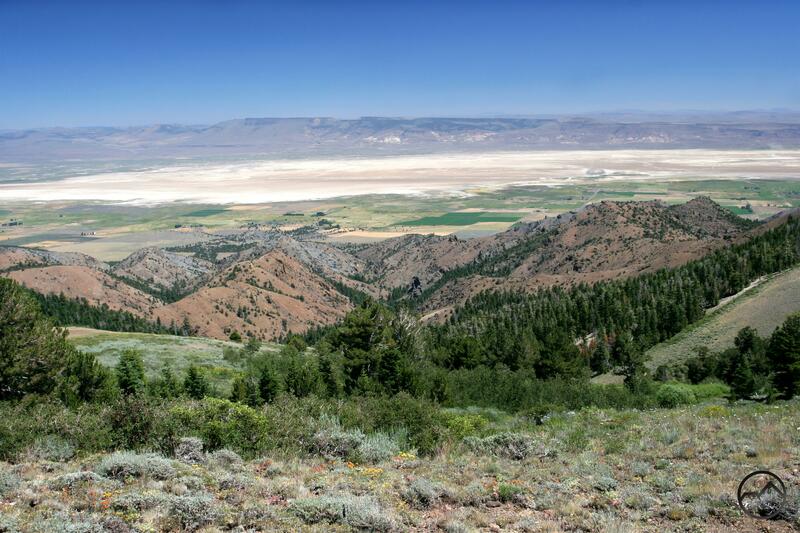 Only small pockets of the Great Basin are present in the North State but it is an overwhelming presence to the east and necessitates inclusion in the general picture of the region’s geography. 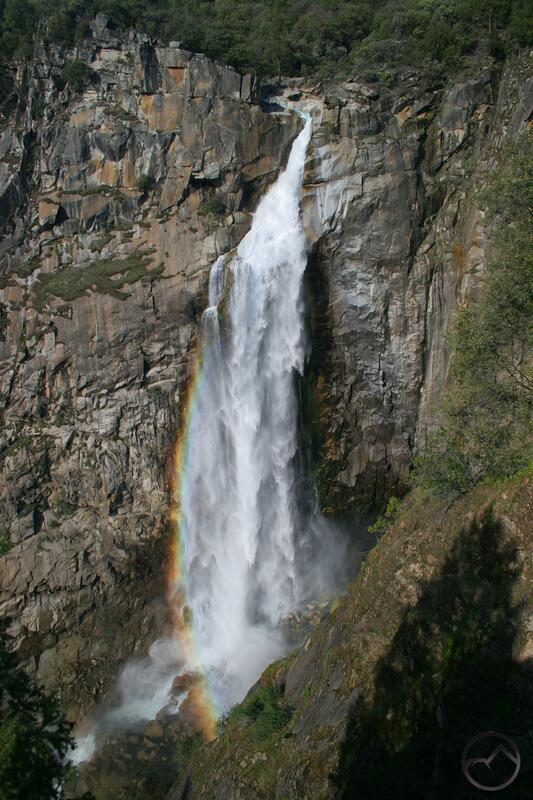 Feather Falls, a mighty Sierra Nevada waterfall. California’s largest and mightiest mountain range is justly described in a long list of superlatives. Soaring, serrated peaks, deeply incised river canyons, massive granite domes, gargantuan sequoias and an unbelievable array of mighty waterfalls compose the common perception of this mountain range. It stretches over four hundred miles from its junction with the Tehachapi Mountains in Southern California to the Mountain Meadows Valley, home of Lake Almanor, where the range quietly meets the Cascade Range. While most of the Sierra Nevada is a visually stunning panoply of jagged alpine wilderness, the northernmost section, the area germane to a survey of North State geography, is much more subdued. Instead of immense expanses of naked rock, the northern Sierra is cloaked in vast forests and punctuated by occasional rocky areas. Despite the restrained nature of this area, it retains elements of classic Sierra Nevada environments. Large granite domes can still be found, deep canyons with tall granite cliffs still cut into the mountains and large waterfalls still thunder impressively. One need only observe these features to know that, though more hushed in general, the great beauty of the Sierra Nevada is still present in its northernmost reaches. 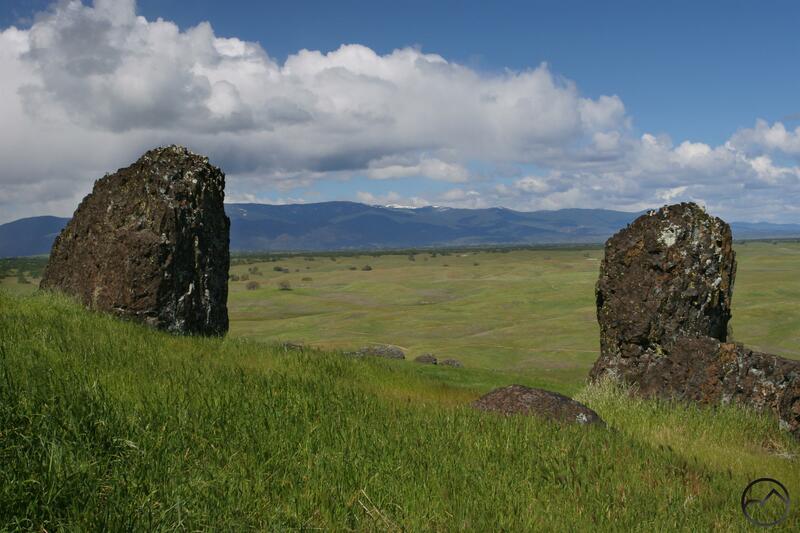 The Orland Buttes provide great views of the Sacramento Valley. The northern half of California’s mighty Central Valley, the Sacramento Valley is surrounded on three sides by the North Coast Range, the Klamath Mountains and the Sierra Nevada. Mighty rivers and countless large creeks and streams race out of the encircling mountains and funnel water into the Sacramento River, California’s largest and longest. 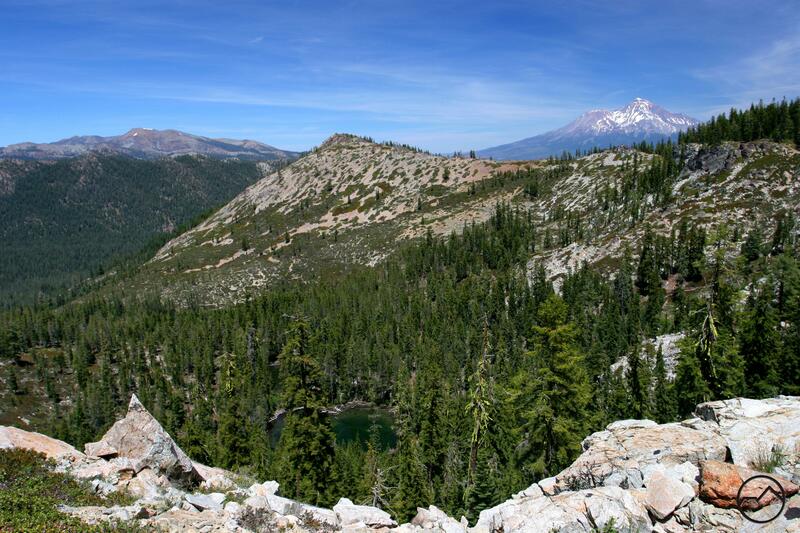 The Sacramento itself begins in the Trinity Divide, near Mount Shasta and in the heart of the North State. 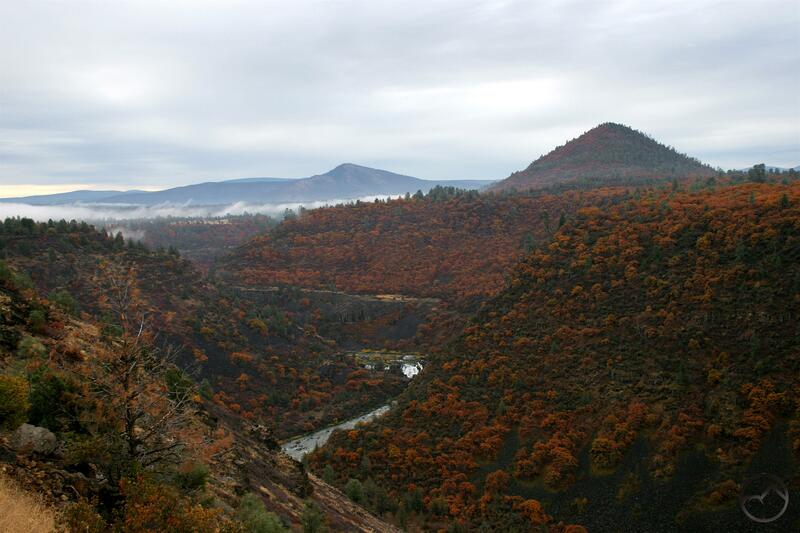 The river flows south through the Klamath Mountains and enters the Sacramento Valley near Redding. From there it winds its way south, collecting water from the North Coast Range and Sierra Nevada. Major watersheds in the North Coast Range include Stone Creek, which begins on Snow Mountain and Cache Creek, which drains Clear Lake (the latter being the closest whitewater to the Bay Area). Significant watersheds in the Sierra Nevada include the enormous Feather River, the Yuba River and the American River, all of which begin high on the Sierra crest. A small but notable portion of the southern Cascades also drains directly into the Sacramento River, particularly Mill Creek, which begins on the southern flanks of Lassen Peak. This tremendous waterway eventually flows into the Delta and hence into San Francisco Bay. Most of the valley is flat and given over agriculture. Despite this, there are a couple of surprisingly rugged uplands. The highest is the Sutter Buttes, the remnants of an ancient volcano. The other area is the Orland Buttes which are a series of volcanic domes and dikes. Most of the Sutter Buttes are privately owned, though the state of California has purchased a sizable parcel of land with the intention of creating a state park. The Orland Buttes surround the Black Butte Reservoir and much of the area is administered by the Bureau of Reclamation. Some fantastic trails with great views wind their way through the Buttes. Snow Mountain summit view of Signal Peak. California’s extensive coast line is flanked by a long series of mountains that extend from their junction with the Transverse Range near the Cuyama Valley northward, past San Francisco Bay, and ultimately into Oregon. The range is divided into two halves separated by the great breech of San Francisco Bay and the Sacramento Delta. The northern half of the coastal mountains is referred to as the North Coast Range. This region is home to the towering coast redwoods, vast conifer forests, extensive oak savannah and numerous large rivers. There is also a fairly large highland area that includes high peaks that barely reach into the alpine zone. In general, the North Coast Range is divided between to areas: a lower set of mountains pushed up against the coast that are heavily forested and the higher, more rugged mountains that form the crest and eastern perimeter of the range. The western, lower half of the North Coast Range is home to the redwoods and also includes the Lost Coast, where the King Range (a sub range of the North Coast) is dramatically pushed up against the sea. The higher, eastern portion includes the remote Yolla Bolly Wilderness (a part of which also includes the southernmost section of the Klamath Mountains) and the Snow Mountain Wilderness. The Yolla Bollies are home to South Yolla Bolly Mountain (also referred to as Mount Linn) which exceeds eight thousand feet and is the highest point in the North Coast Range. The Snow Mountain Wilderness is centered on enormous Snow Mountain, the southernmost peak in the range to climb above seven thousand feet. South of Snow Mountain the range is generally lower in elevation but includes gigantic Clear Lake (the largest freshwater lake entirely in California), the Mayacama Mountains and the famous California Wine Country. The southernmost section of the range is capped by Mount Tamalpais and spectacular Point Reyes. 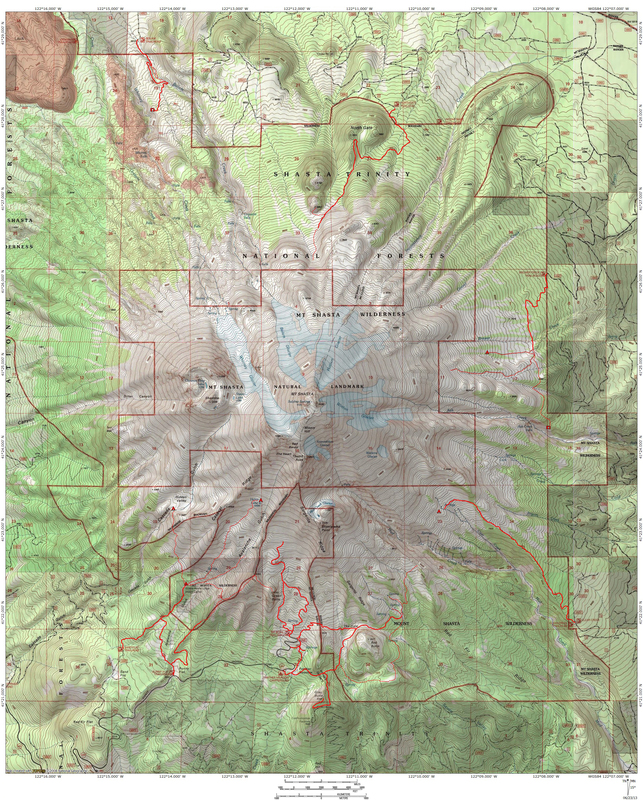 Mount Eddy and Mount Shasta: highest points of the Klamaths and the Cascades. While the seven regions make up the entirety of the North State, at heart, the region is highlighted by the dramatic tension between the Klamath Mountains and the Cascade Range. Though they come within only a few miles of each other near Mount Shasta, their environments could not be more different. The striking and often stark volcanic landscape of the Cascades is in marked contrast to the incredibly diverse alpine landscapes of the Klamath Mountains. It is amazing that two dramatically different mountain areas could stand so close to each other yet be shaped by such different forces and exhibit such different characters. One of the great blessings of being able to explore these areas is the opportunity to appreciate the staggering diversity and the truly spectacular beauty. Wow, this is a remarkable compilation of northern California regions! You have keyed on so clearly on the geographic relevance of each, and how they relate to each other. You identified characteristics that truly shine for each region: trees, granite, rivers, volcanic features. You have also made each region sound like a place of wonder and beauty. Having visited each of the regions, I can confirm that the places are as unique and stunning as you describe. It’s clear you are in love with your home. Your photos are always beautiful, though I must say that in this post your words paint a better picture than the photos. Thank you very much. I appreciate you taking the time to read the post. Obviously I need take better images! You silly, your photos are always great and often stunning. Only this time…you blew me away with words. Thanks for putting the geography of our area in such a wide angle perspective. I am always learning something new from your great posts. Nice job! Such an amazing area we get to live and play in! …and hey, you know I am ready to help getting some of those images out…waiting for ya!